On March 25, all Albion students received an email regarding a revision to their 1098-T tax forms from the Albion accounting office. As Mark Holbrook, controller of Albion College, said the revision came from an update in IRS rules on how to fill out 1098-T forms for all American college students. Form 1098-T is filled out every year by collegiate institutions and reports all payments from a student to the institution and a student’s dues still owed to the institution. On the form, there are 10 boxes that Albion may fill out. Previously, Box 1 was reserved for payments made to the college by the students and their families but did not include financial aid. These payments included tuition, course fees (clay for ceramics classes, goggles for science labs, etc. ), books and loans taken out by the student to be paid at a later date. Box 5 was for financial aid only. This includes scholarships from a school, scholarships from external sources and any federal or state grants. 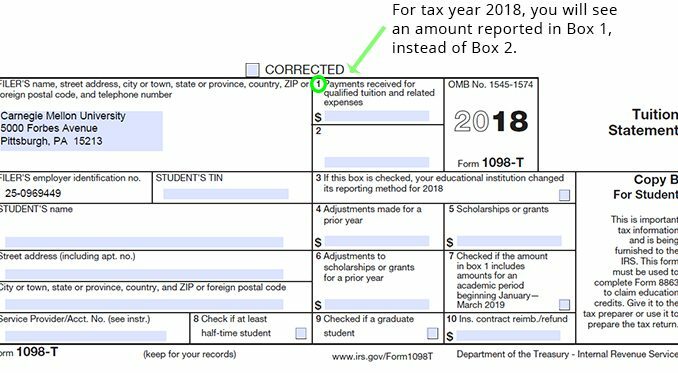 For the 2018 tax year, the IRS changed the rules for Box 1 so that all payments, including financial aid, must be included in Box 1. “Box 1 includes all payments from all sources (course fees, tuition, room and board, books etc. ), including financial aid, that were made on behalf of the student. It could be external scholarships, it could be federal aid and it could be college aid,” said Holbrook. However, when the IRS changed this rule, some schools, like Albion and Adrian College, weren’t exactly sure what the IRS revision meant. Holbrook stated that he believed the IRS wanted all the payments made by the student to the college (tuition, room and board, loans, etc.) to go into Box 1. The IRS made this amendment to Box 1 for 2018 so that students who have outstanding balances in their billing account cannot receive credit from the college for classes they have yet to pay for. Therefore, all payments, including financial aid given to the student, must be included in Box 1 so that the IRS knows the exact amount of money a student has paid and still owes. After Holbrook and the Accounting Office at Albion realized this error in students’ 1098-T forms, Holbrook reached out to the college’s auditors. The auditors gave Holbrook the revised rules from the IRS for the forms which still detailed the revision vaguely. Then, Holbrook reached out to the Banner site and they specified that financial aid must now be included in Box 1 instead of just Box 5. Holbrook then submitted the revisions for all students’ 1098-T forms with financial aid included in Box 1. Currently, all forms are up to date, completed, and accessible to students through ACIS and hard copies can be given to any student at the accounting cashier window on Ferguson’s second floor. Those who completed their tax forms before this revision to the 1098-T forms was made will need to look over their tax forms again to see if there is a difference between the original form and the revised form. If there is, they will need to make amendments. I want to thank you for publishing this article. As the parent of a May 2018 graduate, I received his 1098-T back in February before the data in Box 1 was updated. Had I not seen this article, I would not have received a significant tax credit that was available to me. As luck would have it, I was about to finish up my taxes on the same day I saw the tweet about this piece. So thank you from a very grateful parent for this important information!